Rusty Nail cocktail (made with Drambuie Scotch whisky liqueur). Getty Images/Maximilian Stock Ltd.
Drambuie is a sweet, gold-colored liqueur with a Scotch whiskey base that is accented with the flavors of Scottish heather honey, herbs, and spices. The whiskey is a blend of malts from the Speyside and Highland regions of Scotland. It has a superbly smooth taste, notably marked with spiced honey. This liqueur should be considered essential to a bar stock, especially if one enjoys whiskey cocktails. It is stocked with liquor stores and bars worldwide, making it readily available. 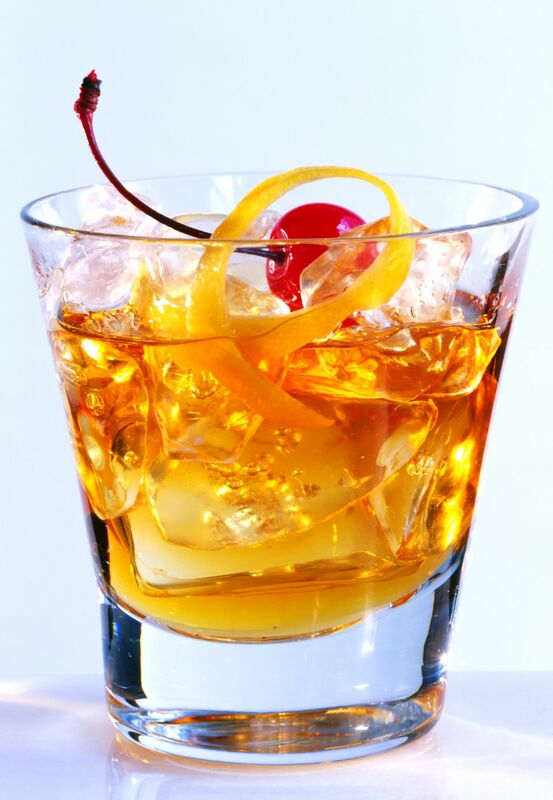 The most popular Drambuie drink is by far the Rusty Nail in which it is paired with Scotch whiskey. There are also no true substitutes for Drambuie's signature taste, though the closest option is Glayva. Drambuie can also be served on the rocks or with either ginger ale or ginger beer and makes a wonderful dessert drink. The story of Drambuie dates back to around 1745 when Prince Charles Edward Stewart reportedly passed on the 'secret' formula for his personal elixir when fleeing Scotland after the Battle of Culloden. The legend says that the recipient of the recipe was Stewart's trusted Captain John MacKinnon and that it remained on the Isle of Skye. In the late 19th century, Clan MacKinnon passed the recipe on to James Ross who improved it and sold the revised liqueur at the Broadford Hotel on Skye, which continues to claim it is the 'birthplace of Drambuie.' Upon Ross' death, his widow sold the recipe to another MacKinnon family and the first commercial production of Drambuie began in Edinburgh in 1910. The name Drambuie is derived (most likely) from the Scottish Gaelic an dram buidheach, which means "the drink that satisfies." Scotch whiskey-based liqueur flavored with honey and spices. Beyond the original bottling of Drambuie, two other expressions are also available. Both are preferred to be served neat or over ice. Drambuie 15: This expression uses a selection of 15-year-old Speyside malts. This is a drier liqueur with a velvet mouthfeel and warming, soft malt notes. Drambuie Royal Legacy 1745: This bottling was produced to celebrate the 1910 official launch of Drambuie and only 2,500 bottles were produced at the time. It brings together all of the best ingredients and techniques learned throughout the years and is considered the top of the line of Drambuie. It also has a price to reflect this pedigree. Why Is Maraschino Drier Than Other Cherry Liqueurs? Do You Know Your Liqueurs From Your Liquors?